272 stock photos, vectors, and illustrations are available royalty-free. 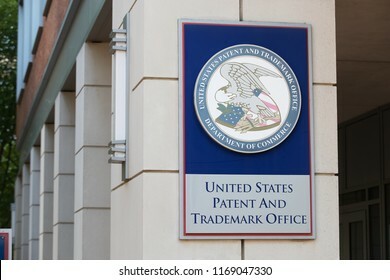 ARLINGTON, VA / USA - JUNE 30, 2018: The United States Patent and Trademark Office is the federal agency for granting U.S. patents and registering trademarks. 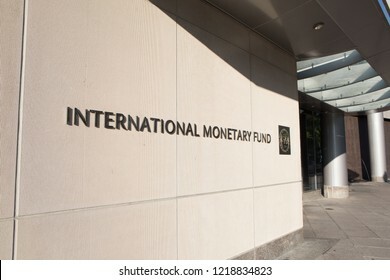 WASHINGTON, DC - AUGUST 23, 2018: The International Monetary Fund (IMF) is an organization of 189 countries and was created in 1945. 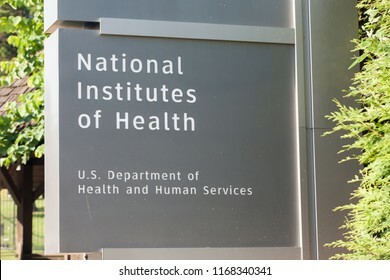 BETHESDA, MD / USA - JUNE 30, 2018: The National Institutes of Health is the nation’s medical research agency and the largest biomedical research agency in the world. 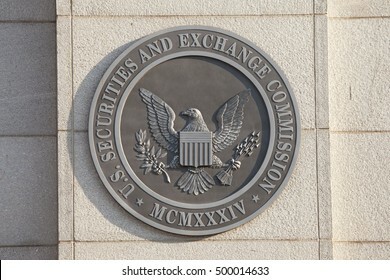 WASHINGTON, DC - NOVEMBER 26: Emblem at the U.S. Securities and Exchange Commission in Washington, DC on November 26, 2016. 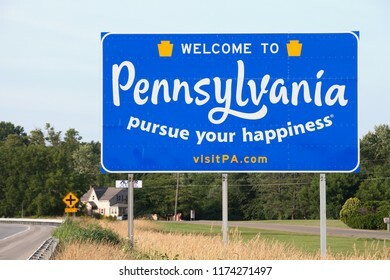 NOTTINGHAM, PA / USA - JUNE 29, 2018: Road sign located along Route 1 North welcomes drivers to the Commonwealth of Pennsylvania, also known as the Keystone State. 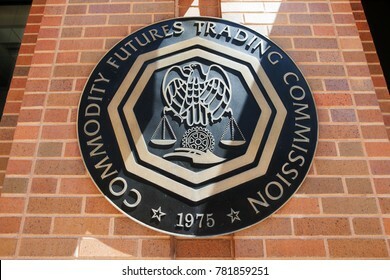 WASHINGTON, DC - AUGUST 20: Emblem at the U.S. Commodity Futures Trading Commission in Washington, DC on August 20, 2017. 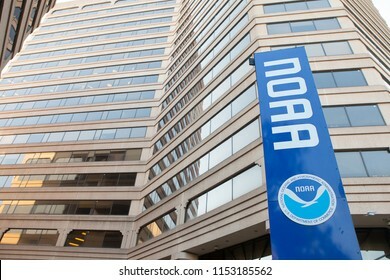 SILVER SPRING, MD / USA - JUNE 30, 2018: National Oceanic and Atmospheric Administration Headquarters in Silver Spring, Maryland. 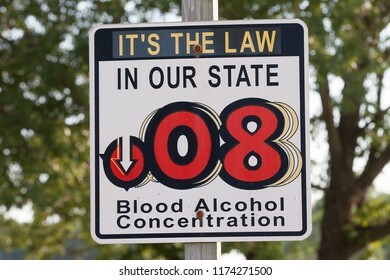 RISING SUN, MD / USA - JUNE 29, 2018: Blood Alcohol Concentration sign located along Route 1 South warns motorists entering the state of Maryland of the BAC limit. 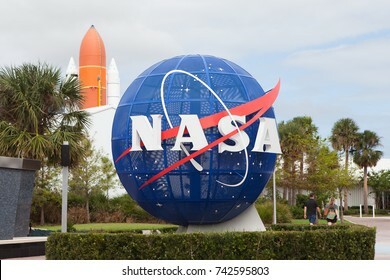 TITUSVILLE, FL - OCTOBER 12: NASA display at Kennedy Space Center Visitors Complex in Titusville, FL on October 12, 2017. 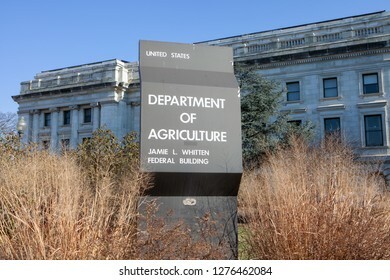 WASHINGTON, DC - DECEMBER 26, 2018: Sign for the Department of Agriculture (USDA) which is closed due to the partial government shutdown. 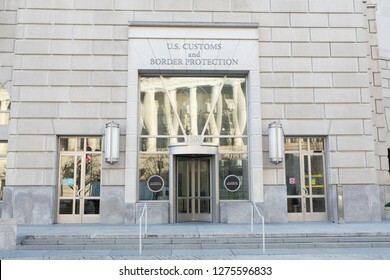 WASHINGTON, DC - DECEMBER 26, 2018: US Customs and Border Protection Headquarters shows little activity due to the partial government shutdown. 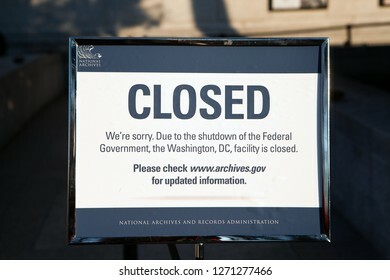 WASHINGTON, DC - DECEMBER 26, 2018: Sign at the visitor’s entrance of the US National Archives states it is closed due to the government shutdown. 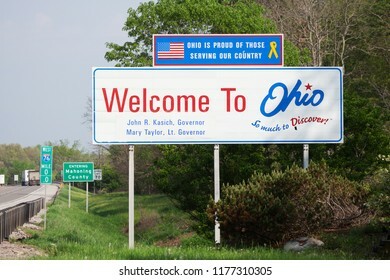 NORTH BEAVER TOWNSHIP, PA / USA - MAY 15, 2018: Road sign located along Route 76 West welcomes drivers to Ohio, also known as the Buckeye State. 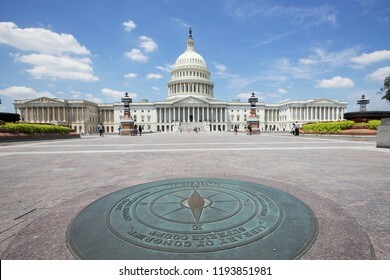 WASHINGTON, DC - JUNE 30, 2018: The East point of a compass directs tourists to the Supreme Court Building and the Library of Congress, while the US Capitol can be seen in the background. 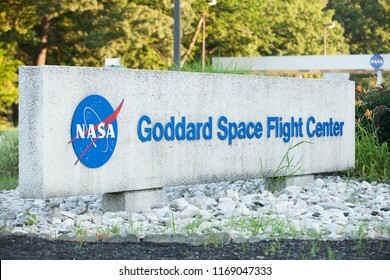 GREENBELT, MD / USA - JUNE 30, 2018: Goddard Space Flight Center is NASA’s oldest space center and is named for the father of modern rocketry, Dr. Robert H. Goddard. 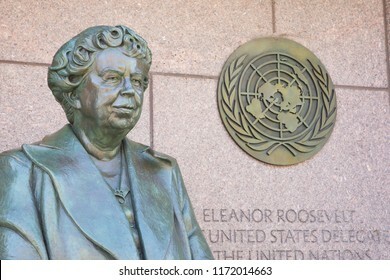 WASHINGTON, DC - NOVEMBER 10, 2017 The Eleanor Roosevelt sculpture in West Potomac Park honors the former First Lady and highlights her role as the first United States Delegate to the United Nations. 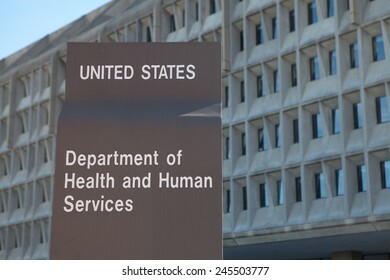 WASHINGTON, DC - AUGUST 23, 2018: The stated mission of the U.S. Department of Health & Human Services is to enhance and protect the health and well-being of all Americans. 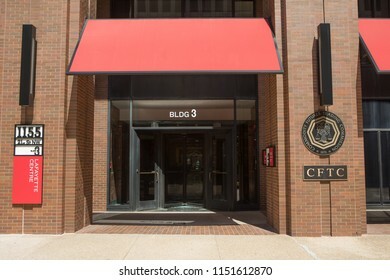 WASHINGTON, DC - AUGUST 20: Signs at the entrance of the U.S. Commodity Futures Trading Commission in Washington, DC on August 20, 2017. 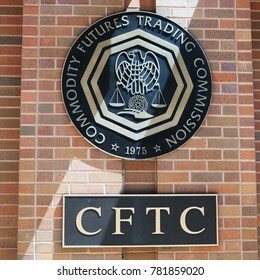 CFTC was created in 1974. 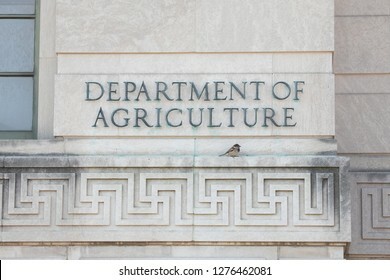 WASHINGTON, DC - DECEMBER 26, 2018: Sign at the Department of Agriculture South Building. The USDA is closed due to the partial government shutdown. 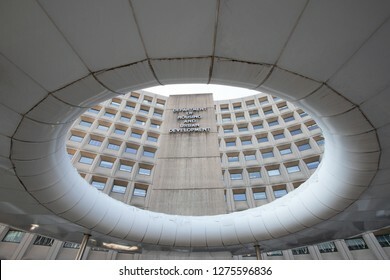 WASHINGTON, DC - DECEMBER 26, 2018: The Department of Housing and Urban Development is eerily quiet during the partial government shutdown. 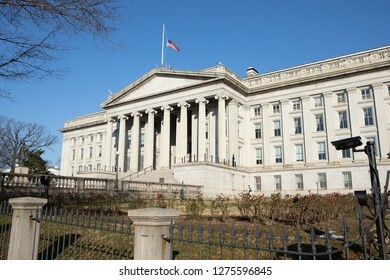 WASHINGTON, DC - DECEMBER 26, 2018: The Department of the Treasury shows little activity due to the partial government shutdown. 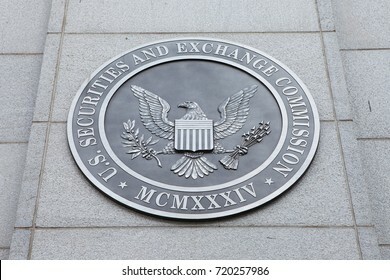 WASHINGTON, DC - SEPTEMBER 10: Securities and Exchange Commission in Washington, DC on September 10, 2016. 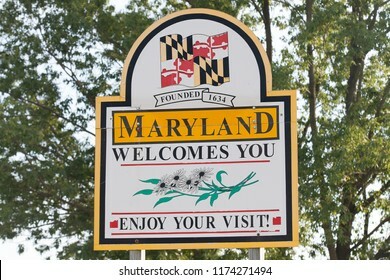 RISING SUN, MD / USA - JUNE 29, 2018: Road sign located along Route 1 South welcomes drivers to Maryland, also known as the Old Line State. 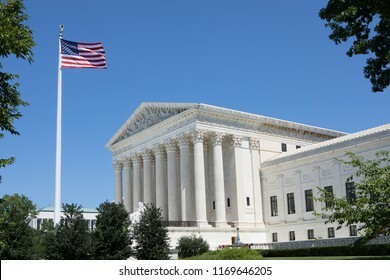 WASHINGTON, DC - AUGUST 23, 2018: The United States flag flies in front of the Supreme Court Building on a beautiful summer day in Washington, DC. 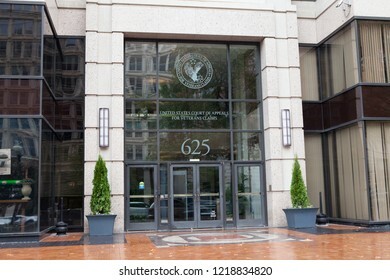 WASHINGTON, DC - JUNE 30, 2018: The entrance of the U.S. Commodity Futures Trading Commission in Washington, DC. 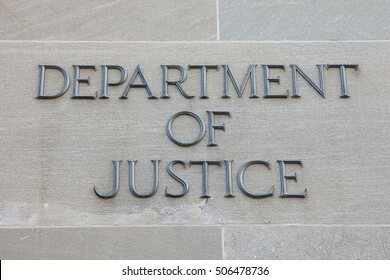 WASHINGTON, DC - SEPTEMBER 10: Sign for the Department of Justice (DOJ) in Washington, DC on September 10, 2016. The DOJ is led by the Attorney General, the nation's top law enforcement official. 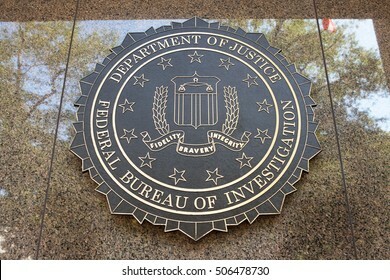 WASHINGTON, DC - SEPTEMBER 10: Federal Bureau of Investigation seal outside the J. Edgar Hoover F.B.I. Building in Washington, DC September 10, 2016. WASHINGTON, DC - NOVEMBER 12: United States Department of Labor in Washington, DC on November 12, 2015. 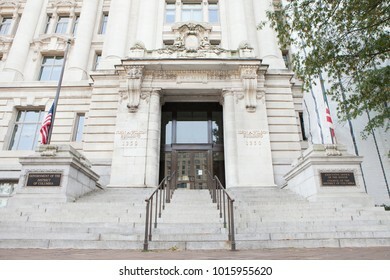 WASHINGTON, DC - NOVEMBER 11, 2017: The John A. Wilson District Building in Washington, DC. 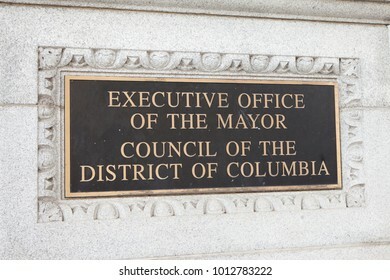 The building is home to the Executive Office of the Mayor and the Council of the District of Columbia. WASHINGTON, DC - SEPTEMBER 10: Federal Reserve Headquarters in Washington, DC on September 10, 2016. 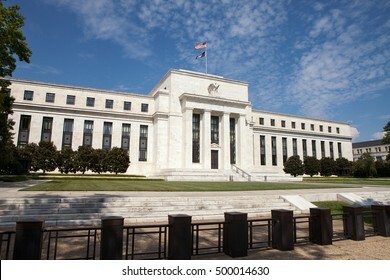 The Fed provides the nation with a safe, flexible, and stable monetary and financial system. 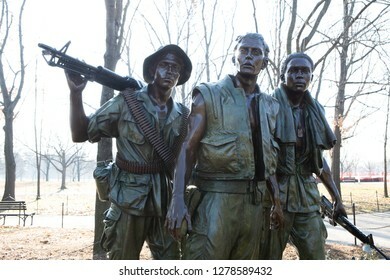 WASHINGTON, DC - DECEMBER 26, 2018: The Three Soldiers statue, part of the Vietnam Veterans Memorial, glistens in the sun. The Memorial remains open despite the partial government shutdown. 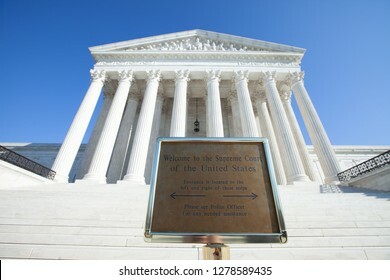 WASHINGTON, DC - DECEMBER 26, 2018: Welcome sign at the Supreme Court of the United States directs visitors to the side entrances. Despite the sign, multiple visitors attempt to enter via the steps. 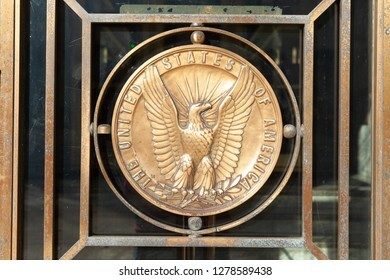 WASHINGTON, DC - DECEMBER 26, 2018: Bronze eagle medallion on an exterior door of the Dirksen Senate Office Building. Days earlier the Senate recessed despite a looming partial government shutdown. 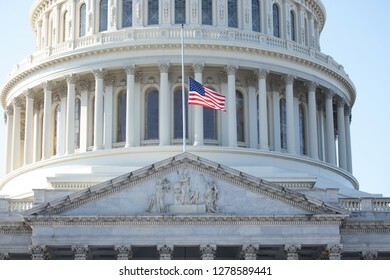 WASHINGTON, DC - DECEMBER 26, 2018: American flag flies at half-staff over the United States Capitol in honor of President George H.W. Bush who died on November 30, 2018. 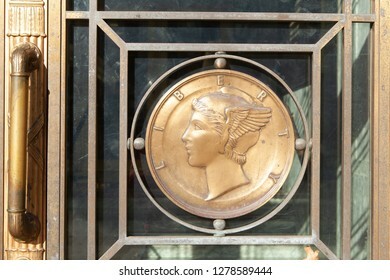 WASHINGTON, DC - DECEMBER 26, 2018: Bronze Liberty Head medallion on an exterior door of the Dirksen Senate Office Building. The Senate recessed just days before partial government shutdown. 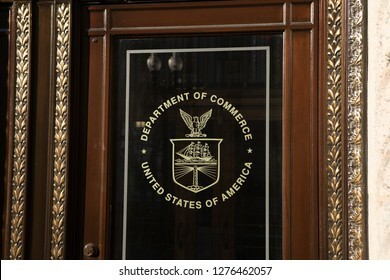 WASHINGTON, DC - DECEMBER 26, 2018: Logo on door at the Department of Commerce Headquarters. 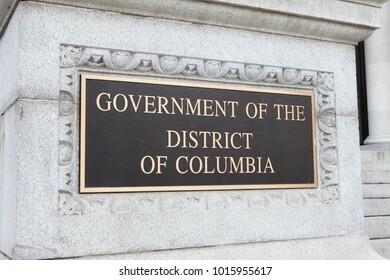 The agency is closed due to the partial government shutdown. 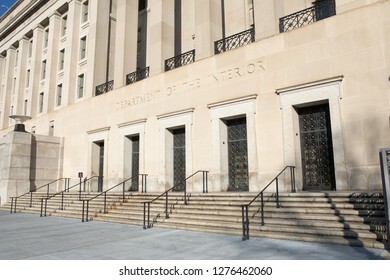 WASHINGTON, DC - DECEMBER 26, 2018: Entrance to the Department of the Interior which is closed due to the partial government shutdown. 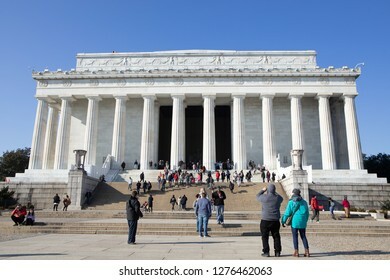 WASHINGTON, DC - DECEMBER 26, 2018: Tourists continue to visit the Lincoln Memorial despite the partial government shutdown. 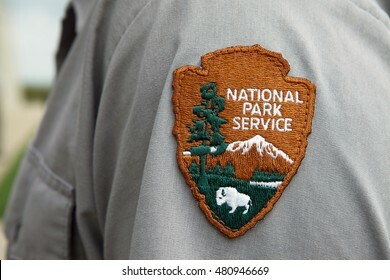 Efforts were made to keep as many national parks open as possible. 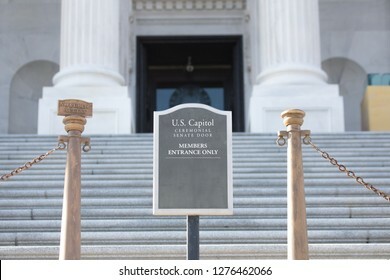 WASHINGTON, DC - DECEMBER 26, 2018: Sign for the Ceremonial Senate Door on the steps of the United States Capitol. 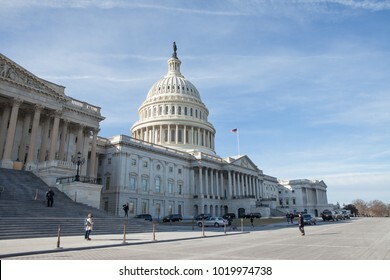 The Senate left for recess despite the impending partial government shutdown. 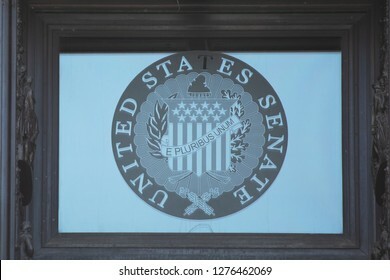 WASHINGTON, DC - DECEMBER 26, 2018: Seal of the United States Senate above the Ceremonial Senate Door at the US Capitol. Days earlier the Senate recessed despite a looming partial government shutdown. 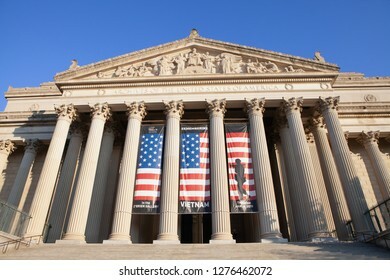 WASHINGTON, DC - DECEMBER 26, 2018: United States National Archives stands quiet in the morning sunshine. 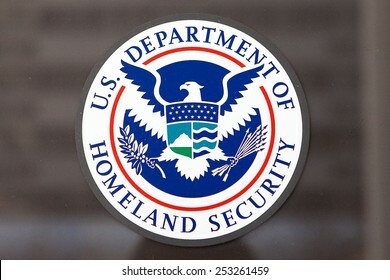 The agency is closed due to the partial government shutdown. 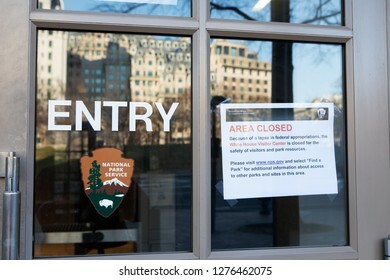 WASHINGTON, DC - DECEMBER 26, 2018: Sign on the entrance to the White House Visitor Center states it is closed due a lapse in federal appropriations. 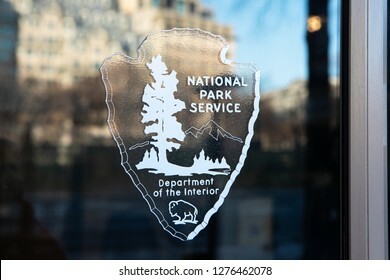 WASHINGTON, DC - DECEMBER 26, 2018: Logo for the National Park Service at the White House Visitor Center. 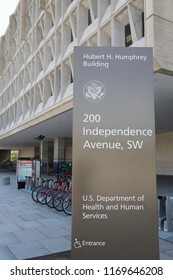 Signs on other doors state it is closed due a lapse in federal appropriations. 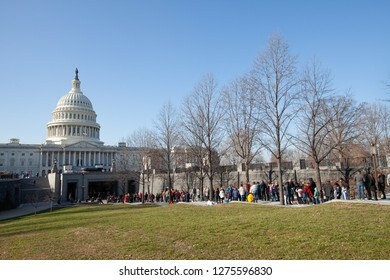 WASHINGTON, DC - DECEMBER 26, 2018: Visitors wait to tour the United States Capitol during the partial government shutdown. 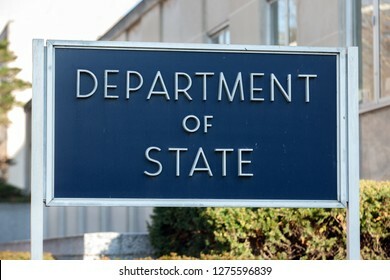 WASHINGTON, DC - DECEMBER 26, 2018: Sign outside of the Department of State which is unusually quiet due to the partial government shutdown. 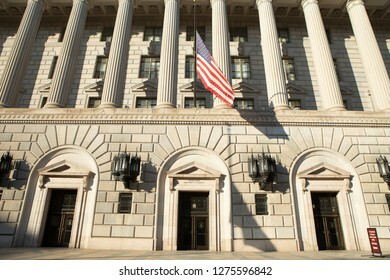 WASHINGTON, DC - DECEMBER 26, 2018: The Department of Commerce Headquarters shows little activity due to the partial government shutdown. 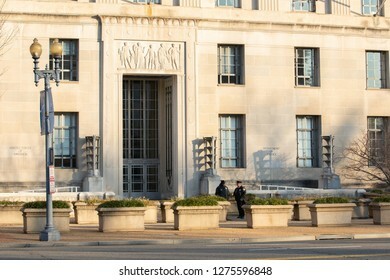 WASHINGTON, DC - DECEMBER 26, 2018: The Department of Justice Headquarters shows little activity due to the partial government shutdown. 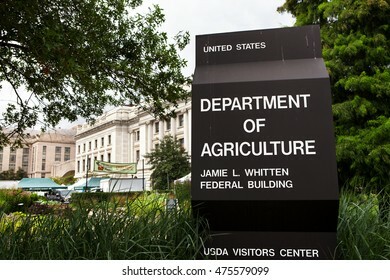 WASHINGTON, DC - JULY 17: Department of Agriculture Headquarters in Washington, DC on July 17, 2015. 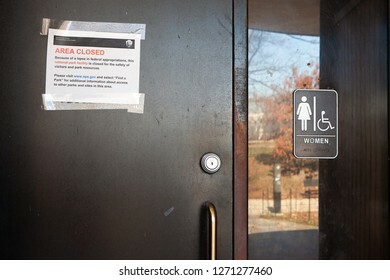 WASHINGTON, DC - DECEMBER 26, 2018: Sign on a restroom, near the Lincoln Memorial Reflecting Pond, states it is closed due a lapse in federal appropriations. 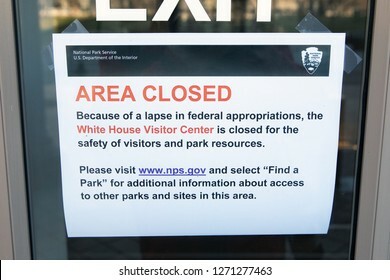 WASHINGTON, DC - DECEMBER 26, 2018: Sign at the White House Visitor Center states it is closed due a lapse in federal appropriations. 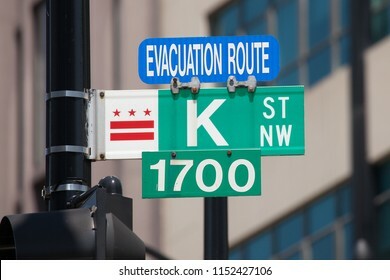 WASHINGTON, DC - AUGUST 20, 2017: Evacuation route and street sign along K Street in Washington, DC. The term, K Street, is synonymous with lobbyists and the lobbying industry. 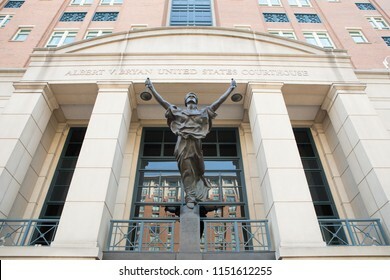 ARLINGTON, VA / USA - JUNE 30, 2018: Lady Justice Statue in front of the Albert V Bryan United States Courthouse in Alexandria, VA.
SHANKSVILLE, PA - AUGUST 17: National Park Service patch worn by the rangers at the Flight 93 National Memorial Visitor Center located near Shanksville, PA on August 17, 2016. WASHINGTON, DC - SEPTEMBER 10: Entrance to the Democratic National Committee Headquarters in Washington, DC on September 10, 2016. 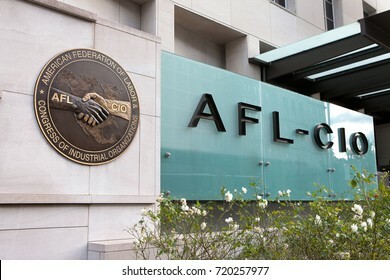 WASHINGTON, DC - NOVEMBER 26: The American Federation of Labor and Congress of Industrial Organizations in Washington, DC on November 26, 2016. WASHINGTON, DC - JANUARY 20, 2018: People walk and jog past the United States Capitol on the first day of the government shutdown while the Capitol Police watch for threats. 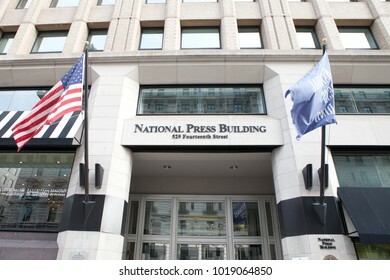 WASHINGTON, DC - NOVEMBER 11, 2017: National Press Building located in Washington, DC. 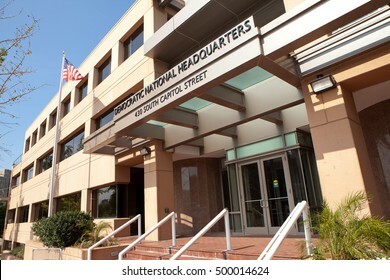 The building is home to the National Press Club. WASHINGTON, DC - SEPTEMBER 10: Federal Election Commission (FEC) in Washington, DC on September 10, 2016. 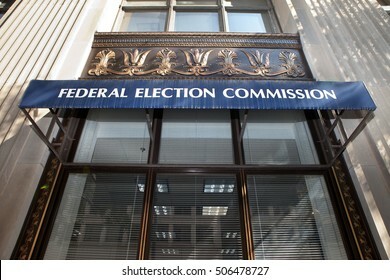 The mission of the FEC is to administer and enforce the Federal Election Campaign Act (FECA). 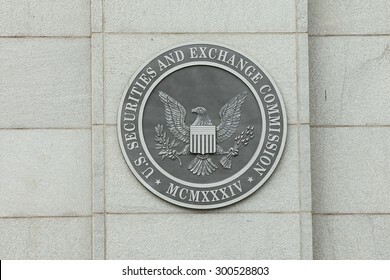 WASHINGTON, DC - JULY 17: Sign at the U.S. Securities and Exchange Commission in Washington, DC on July 17, 2015. 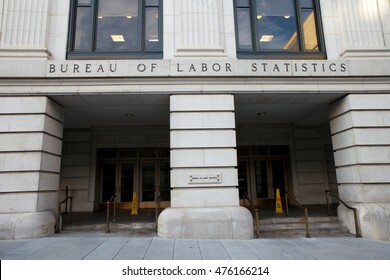 WASHINGTON, DC - NOVEMBER 12: Bureau of Labor Statistics in Washington, DC on November 12, 2015. It provides essential economic information to support public and private decision-making. 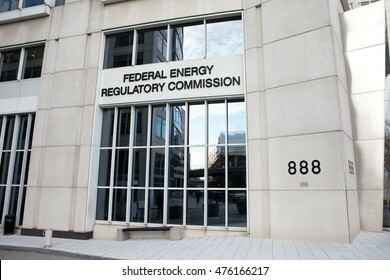 WASHINGTON, DC - NOVEMBER 12: Federal Energy Regulatory Commission (FERC) in Washington, DC on November 12, 2015. FERC regulates the interstate transmission of natural gas, oil, and electricity. WASHINGTON, DC - SEPTEMBER 10: Democratic National Committee Headquarters in Washington, DC on September 10, 2016. 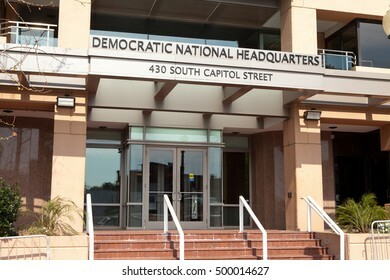 The DNC is the formal governing body for the United States Democratic Party. 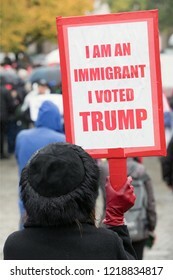 WASHINGTON, DC - OCTOBER 27, 2018: A woman holds a sign claiming she is an immigrant who voted for Trump. 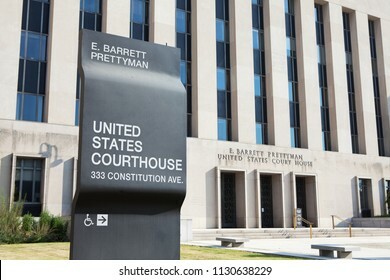 WASHINGTON, DC - OCTOBER 27, 2018: The United States Court of Appeals for Veterans Claims was established in 1988. WASHINGTON, DC - JULY 17: Plaque outside the International Monetary Fund (IMF) in Washington, DC on July 17, 2015. 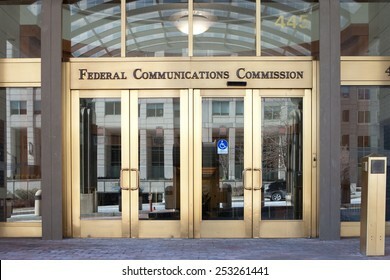 WASHINGTON, DC - FEBRUARY 15: U.S. Federal Communications Commission Headquarters in Washington, DC on February 15, 2015. WASHINGTON, DC - DECEMBER 26: F.B.I. 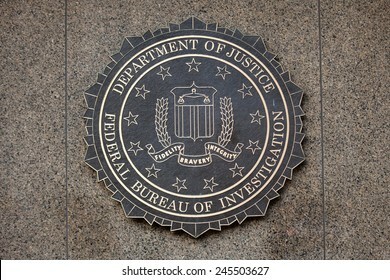 seal located outside the J. Edgar Hoover F.B.I. Building in downtown Washington, DC on December 26, 2014. 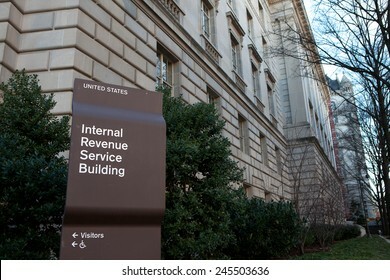 WASHINGTON, DC - DECEMBER 26: Sign outside the Internal Revenue Service building in downtown Washington, DC on December 26, 2014. 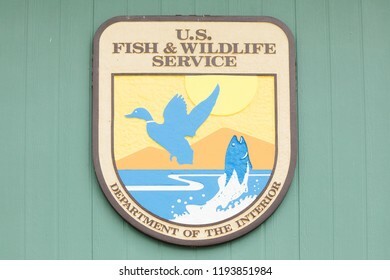 OAK HARBOR, OH / USA - MAY 19, 2018: U. S. Fish and Wildlife Service sign at Ottawa National Wildlife Refuge Visitor Center. 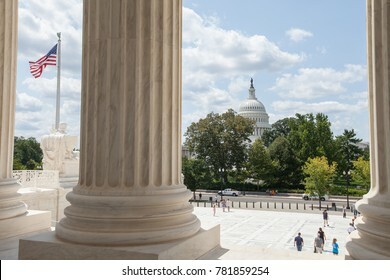 WASHINGTON, DC - AUGUST 20: United States Capitol as seen from the Supreme Court Building in Washington, DC on August 20, 2017. 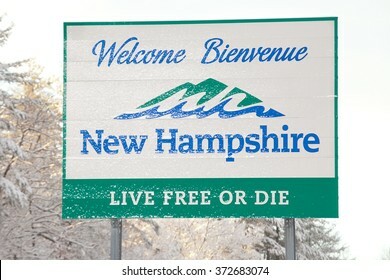 NASHUA, NH FEBRUARY 5: Welcome sign for New Hampshire is covered with fresh fallen snow on February 5, 2016 in Nashua, NH. A Donald Trump campaign event was canceled due to the snow storm. 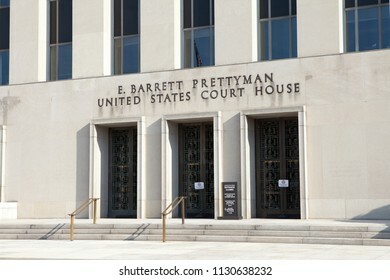 WASHINGTON, DC - MAY 4: Plaque outside the United States Environmental Protection Agency (EPA) in downtown Washington, DC on May 4, 2015. 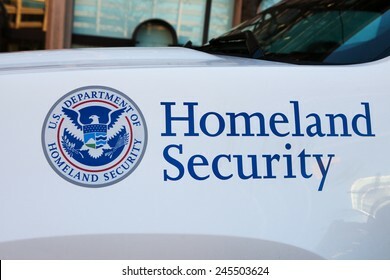 WASHINGTON, DC - FEBRUARY 15: Department of Homeland Security Seal located outside the Federal Emergency Management Agency headquarters in Washington, DC on February 15, 2015. 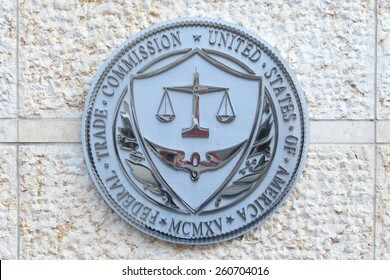 WASHINGTON, DC - DECEMBER 26: Seal of the Federal Trade Commission in downtown Washington, DC on December 26, 2014. 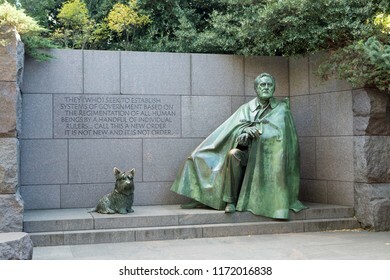 WASHINGTON, DC - NOVEMBER 10, 2017: The Franklin Delano Roosevelt sculpture in West Potomac Park honors the former President of the United States and includes his Scottish Terrier, Fala. 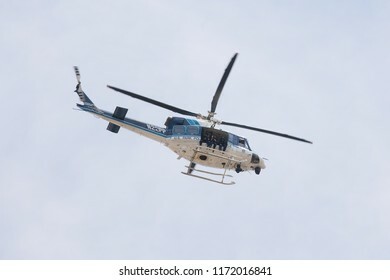 WASHINGTON, DC - JUNE 30, 2018: United States Park Police Helicopter flies above Federal Triangle to photograph a crowd of protesters marching along Pennsylvania Avenue towards the U.S. Capitol. 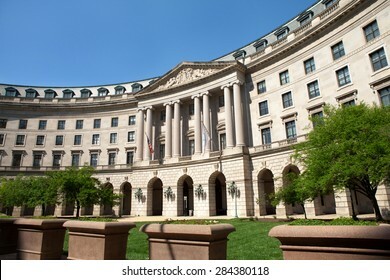 WASHINGTON, DC - MAY 4: United States Environmental Protection Agency Headquarters in Washington, DC on May 4, 2015. 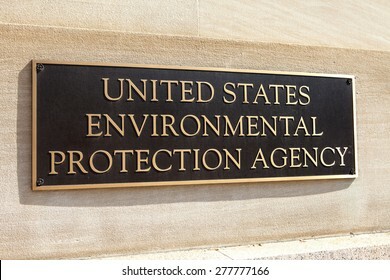 The EPA's mission is to protect human health and the environment. WASHINGTON, DC - AUGUST 20, 2017: The Great Seal of the United States above the entrance of the New Executive Office Building. 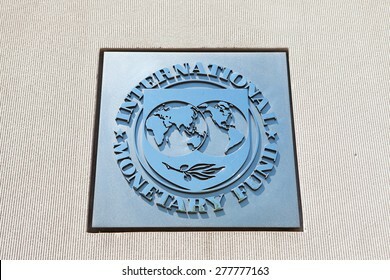 WASHINGTON, DC - MAY 4: Plaque outside the International Monetary Fund (IMF) reflects the blue sky in Washington, DC on May 4, 2015. 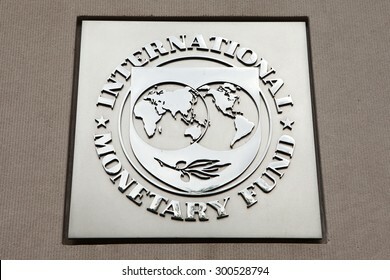 The IMF, created in 1945, is an organization of 188 countries. 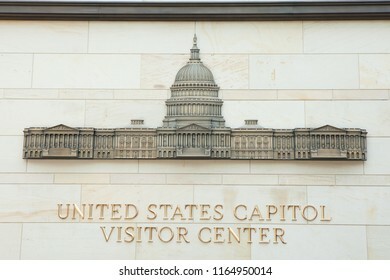 WASHINGTON, DC - AUGUST 19, 2017: United States Capitol Visitor Center provides guided tours of the U.S. Capitol building. 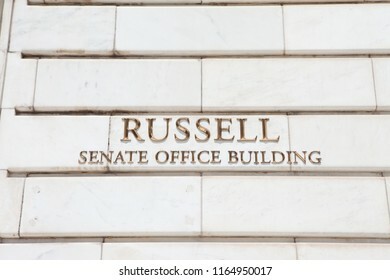 WASHINGTON, DC - AUGUST 19, 2017: The Russell Senate Office Building was named for former Senator Richard Russell Jr. in 1972. 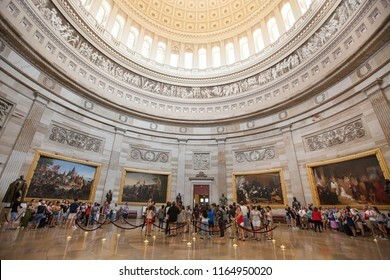 WASHINGTON, DC - AUGUST 19, 2017: Visitors listen to tour guides in the Great Rotunda of the United States Capitol. 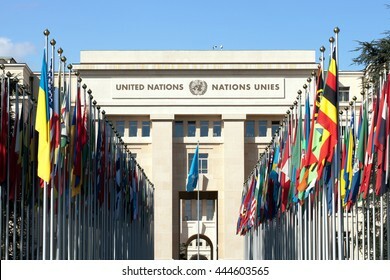 GENEVA - APRIL 28: Allee des Nations features flags of UN member countries on the grounds of the United Nations Office in Geneva on April 28, 2016. 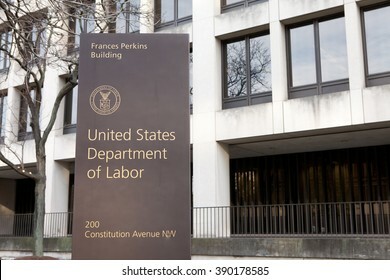 WASHINGTON, DC - DECEMBER 26: Sign outside the Department of Health and Human Services building in downtown Washington, DC on December 26, 2014. 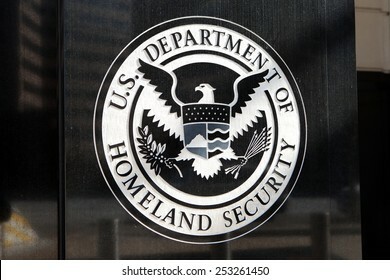 WASHINGTON, DC - FEBRUARY 15: Department of Homeland Security Seal located outside the US Immigration and Customs Enforcement Headquarters in Washington, DC on February 15, 2015. 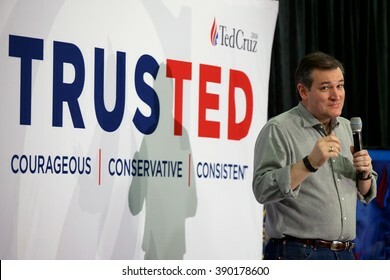 SALEM, NH - FEBRUARY 5: Senator Ted Cruz (R-TX) makes a humorous point during a Town Hall event on February 5, 2016 in Salem, NH. 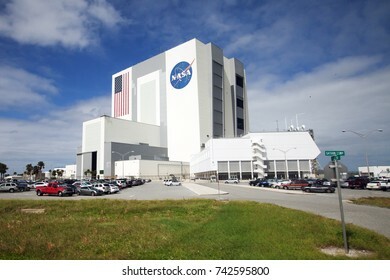 TITUSVILLE, FL - OCTOBER 12: Vehicle Assembly Building at Kennedy Space Center in Titusville, FL on October 12, 2017. 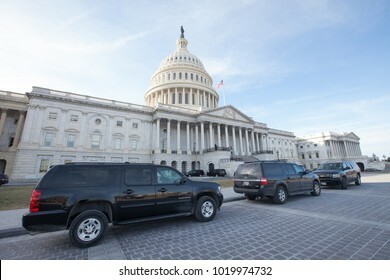 WASHINGTON, DC - JANUARY 20, 2018: Black SUVs parked in front of the United States Capitol on the first day of the government shutdown. 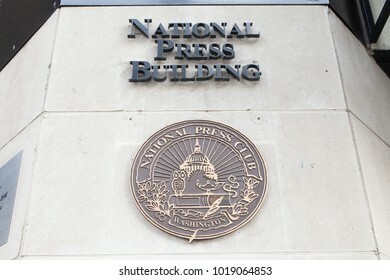 WASHINGTON, DC - NOVEMBER 11, 2017: Plaque for the National Press Club at the National Press Building in Washington, DC. 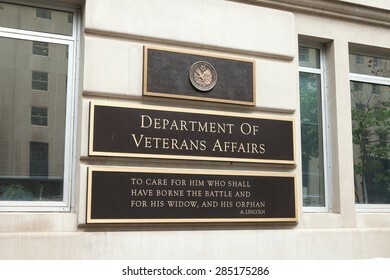 WASHINGTON, DC - JUNE 6: Signage at the Department of Veterans Affairs in Washington, DC on June 6, 2015. It includes a quote about caring for him wounded in battle and his widow and his orphan. WASHINGTON, DC - NOVEMBER 11, 2017: Plaque for the Government of the District of Columbia at the John A. Wilson Building in Washington, DC. 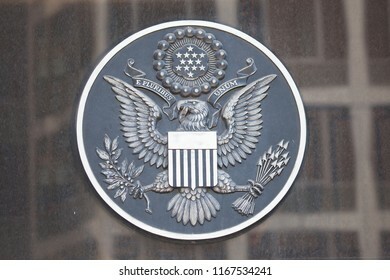 WASHINGTON, DC - JUNE 6: Emblem on the door of the Office of Personnel Management (OPM) in Washington, DC on June 6, 2015. 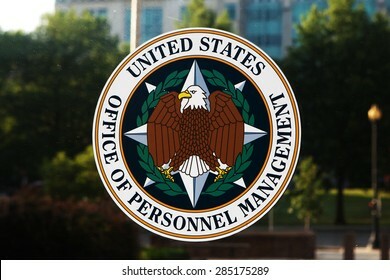 OPM manages the civil service of the federal government. 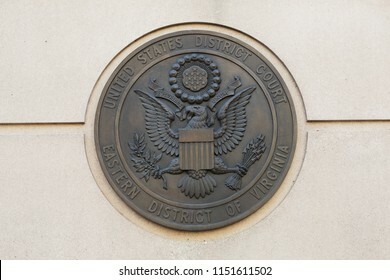 ARLINGTON, VA / USA - JUNE 30, 2018: United States District Court for the Eastern District of Virginia plaque located at the Albert V Bryan United States Courthouse in Alexandria, VA.
WASHINGTON, DC - NOVEMBER 11, 2017: Plaque for the Executive Office of the Mayor and Council of the District of Columbia at the John A. Wilson Building in Washington, DC. 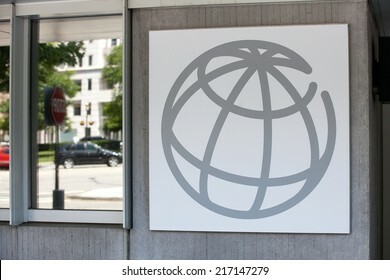 WASHINGTON, DC - JUNE 1: Sign outside the World Bank Group in downtown Washington, DC on June 1, 2014. 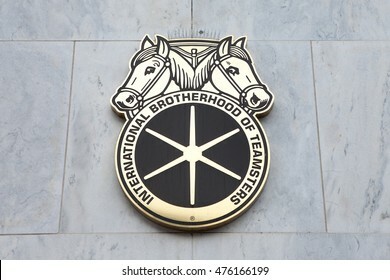 WASHINGTON, DC - NOVEMBER 12: International Brotherhood of Teamsters Headquarters in Washington, DC on November 12, 2015. 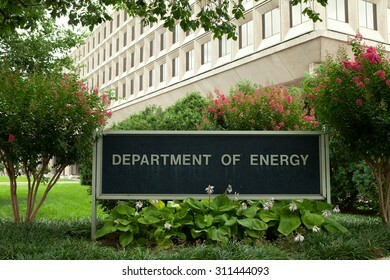 WASHINGTON, DC - JULY 17: The Department of Energy in Washington, DC on July 17, 2015. WASHINGTON, DC - DECEMBER 26: Homeland Security Police car in Washington, DC on December 26, 2014.